Located on a beautiful golden beach, most of the Resort’s luxurious rooms and suites offer incredible and romantic views of the ocean. The Resort offers superb outdoor and indoor dining featuring local and international cuisine. Enjoy your favorite cocktail at any of the Resort’s lounges and swim-up bars.The new and fully equipped fitness center and health spa will help you keep in shape or enjoy a relaxing and therapeutic massage. Lounge by one of the Resort’s inviting swimming pools, one featuring a huge island jacuzzi. Enjoy 900 feet of golden beach and take a refreshing swim in the ocean. Shopping is available at a variety of stores at the Resort. 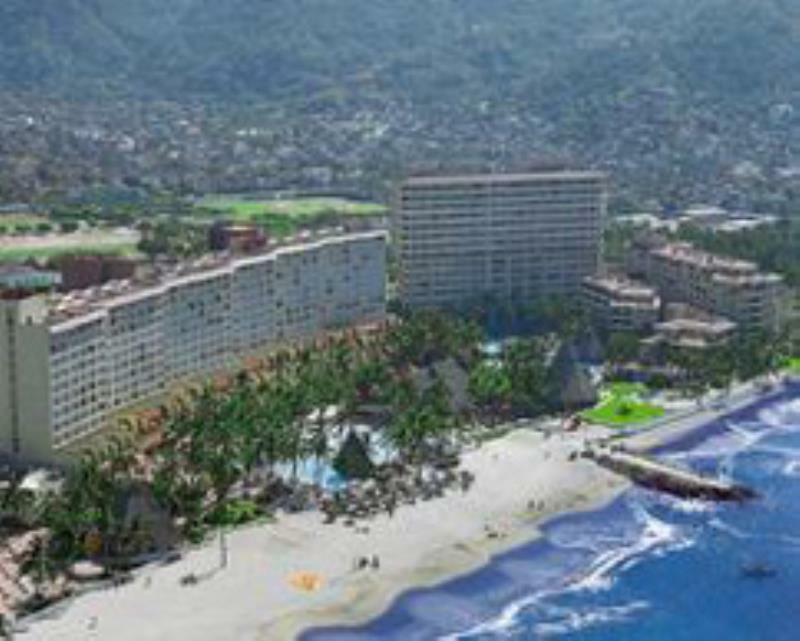 The location is ideal—just a leisurely stroll to the magic of downtown Puerto Vallarta where you can immerse yourself into the easy going life of this seaside paradise.